This post was sponsored by Smile Brilliant and I was given a whitening kit to facilitate my review. All opinions are 100% mine. 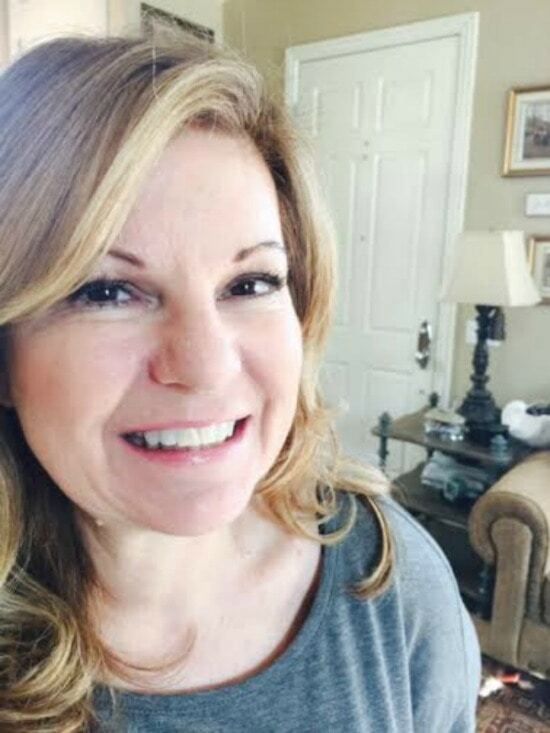 I had the opportunity to whiten my teeth at home, courtesy of SmileBrilliant. It was an easy process and way less expensive that some of the professional teeth whitening treatments I have seen. When I was a child, I was given the antibiotic tetracycline and ever since, my teeth have been a dingy yellow color. I have tried some white strips over the years and they never really made a difference. I have just accepted my “not so white” teeth and never wanted to spend the money on the expensive treatments that may or may not work for me. If you are in the same situation, you may want to read this article that talks about tetracycline stains in more detail. see my results and a giveaway for you! …….. 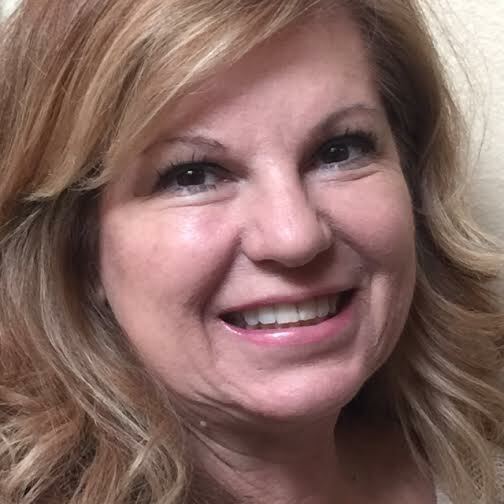 When I was offered the opportunity to give SmileBrilliant, I did not have high hopes, plus I am a bit of a baby when it comes to discomfort in my mouth. Ok I admit it, I hate going to the dentist, so I was concerned about sensitivity. I agreed to give it a try. The lovely kit arrived in the mail and I followed the instructions to make custom impressions. You just mix putty together and then bite down to make impression of your teeth. It was very easy. You are sent a prepaid envelope to mail back your impressions. The making of the impressions was simple and you can follow the instructions found in your kit or from the SmileBrilliant website. 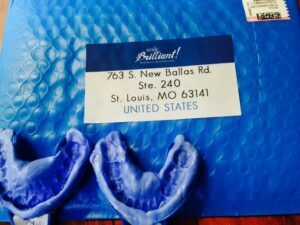 SmileBrilliant will let you know when they receive your trays and when you can expect them back. I received mine in about a week. Along with your custom molds, the kit comes with two gels – a desensitizing gel for those with sensitivity and the whitening gel. I used the sensitivity gel before every treatment except one, when I was in a hurry and I could really tell the difference. I recommend taking the extra few minutes to use the sensitivity gel before the whitening gel. I had no issues at all when I used both products according to the instructions. Having the custom trays in your mouth is not uncomfortable, however, it creates extra saliva, and if you are like me, you will find yourself having to spit every few minutes, but that’s as bad as it gets. I would not do the treatment and then leave the house. I kept my kit on my bathroom counter so I would not forget to do the treatment. I saw results after my first treatment, which kept me motivated to keep going. Smile Brilliant provides you with everything you need to whiten your teeth at home. Here is my after picture. My teeth are whiter and way less dingy looking.The great part is that I still have some whitening gel left. I have a special occasion coming up, so I am saving it! I am very pleased with the process and the outcome. This 2 min. video will explain more and ordering information can be found here. 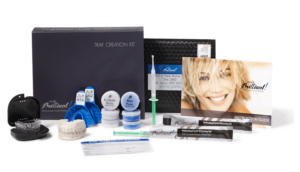 My friends at SmileBrilliant have offered a kit valued at $139.99 to one of my lucky readers! I’m so excited to share this with you! Enter today! The giveaway will end on February 5th and a winner will be randomly chosen and notified by SmileBrilliant. Good luck and I hope you are the lucky winner! 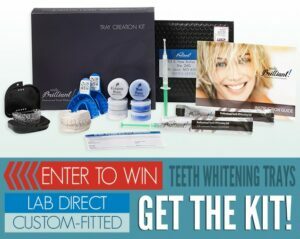 Prize = $139.95 store credit which is equal to Teeth Whitening Trays + 3 whitening gel syringes and 3 desensitizing gel syringes. Enter the SmileBrilliant giveaway here by entering your name and email. Fingers crossed! I really need to win this! Wow! I can really see how much whiter your teeth became. I feel as though my non-white smile ages me.